We're getting more and more complaints about people buying professional Cosmeceutical products from eBay, whether it's an eBay shop or private seller and it's really worrying. Some people have ordered from eBay, paid for their products and not received them. Others have bought Cosmeceutical products off eBay and their skin has reacted badly to it. We've been asked if various products are OK, because the colour or texture are different from what they have used before. There are also several eBay sellers selling samples, which are clearly marked 'NOT FOR RESALE'. All of the major Cosmeceutical brands (Jan Marini Europe, Skinbrands etc.) will not supply any "eBayers" as they only want their products being sold through approved and authentic stockists. So if the products bought from eBay have not come from the official UK distributors, are they the real thing? It's quite scary because you really don't know what you're applying to your face, and with no advice or come-back if any problems occur. You may say it’s cheaper, but is it worth it? As official stockists, we are told by the distributors what price to sell the products for. If you go onto the Jan Marini Europe & Skinbrand websites, they'll advise the same thing - do not buy any products from eBay! 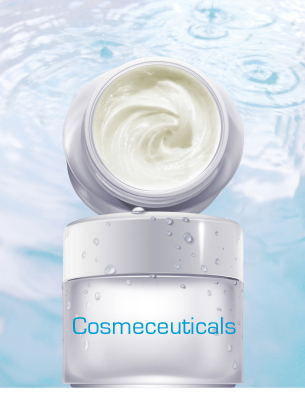 With Cosmeceutical products it's important to get the right advice, so you can really benefit. At Dermacare Direct we provide a personalised service to our customers which we're proud of. There's no sales person in sight! If this is your first time on our site or haven't used Cosmeceutical products before and you need advice on what to buy which products to add to your skincare regime, we're always on hand to give you good professional advice. At Dermacare Diret, we don’t favour one brand over another. We simply recommend products which will suit you and your budget. Our customer service is also excellent - just read our testimonials. Additionally, we provide free postage in the UK. You'll find lots of advice & articles about various skin conditions on our site for your information. Finally, please be aware that an eBay shop called Dermacare UK Ltd is not affiliated to us and has nothing to do with us whatsoever. Remember if it looks too good to be true it probably is!